- Everything Leads Right Back To Obama And Hillary: Is It Time For The Traitors Heads To Roll? Despite the great news that we knew all along, that President Trump ISN'T some Putin pawn as the Demonrats and the mainstream media have been getting all frothed up at the mouth about for the past 2+ years, many are angry as can be today. I, like millions of other angry Americans, want justice for President Trump, the independent media, and millions of other Patriotic Americans who have been called 'Nazis' and 'Russian trolls' and thoroughly slandered by the rabid dogs in the msm and the leftist politicians who've been blatantly lying to the American people over and over again the past several years. 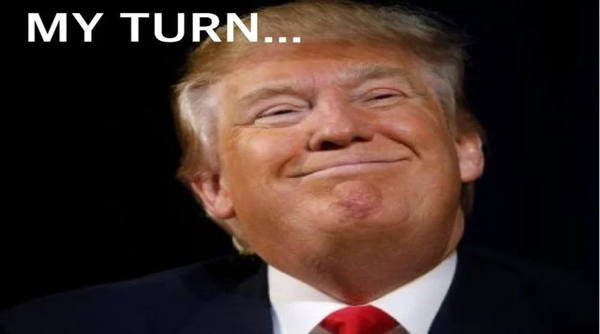 With much of the rest of the America sure to get caught up to speed in the days ahead while Hollywood celebrities go into hilarious meltdowns and msm talking heads try to figure out how to spin Robert Mueller's revelations and the Demonrats in Congress turn to 'plan B', we look forward to 'America's Revenge' unfolding in the days and weeks ahead. As the Gateway Pundit reported in this recent story, Rep. Devin Nunes will be making criminal referrals to Attorney General Bill Barr on the FBI and DOJ officials who perpetrated this hoax that has gone on for nearly 3 years now, dating back to late 2015 and early 2016, well before the November 2016 election was even held. And with this hoax and 'insurance policy' that didn't pan out the way they hoped it would for the Demonrats likely leading directly back to Barack Obama and Hillary Clinton herself, as Susan Duclos reported within this ANP story, with 'justice' moving from Mueller's investigation to that of John Huber who is also investigating 'Uranium One', we may soon be witnessing what most of us never believed was possible. Yet while the corrupted members of the deep state who sold their souls and allegiance to America away to get Hillary Clinton elected may now be under investigation, as we've warned on ANP time and again, we've long believed that should 'the deep state' have to face justice, they'll first carry out a huge false flag event in an attempt to make those investigations 'go away'. 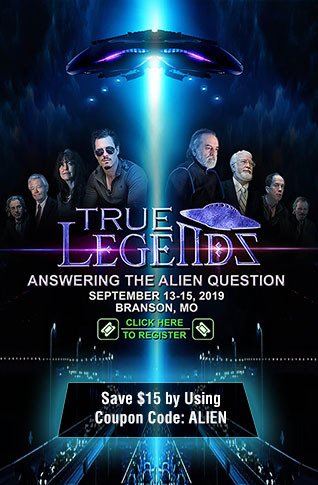 And now may be the last opportunity they get to 'create' such an event. As Zero Hedge reported in this new story, with Mueller's probe of Democrat and deep state lies finally wrapped up, the Wall Street Journal's outspoken voice of reason, Kimberley Strassel, recently wrote a story stressing that Americans deserve a full accounting of the missteps of Comey and the FBI, urging AG William Barr to investigate Obama's DOJ and FBI. As the ZH story reports, this was more than an exoneration. It’s a searing indictment of the Federal Bureau of Investigation, as well as a reminder of the need to know the story behind the bureau’s corrosive investigation. And as Rudy Giuliani recently asked of this massive hoax that has cost the American taxpayer tens of millions of dollars, "who made it up? ", "who paid for it?" and "who fueled it?" As one senior White House aide stated, it's time to investigate the investigators and we here at ANP completely agree, it's time for Democrats heads to roll if they were involved in this sham. As we've reported previously on ANP, All News Pipeline ourselves were demonized as 'Russian influence pushers' following the 2016 election by none other than the Washington Post which used a long-discredited list from a website called 'Prop or Not' to slander us. And as we've also reported previously, nearly every independent news outlet on the discredited 'Prop or Not' list are pro-America and anti-globalist websites and without a doubt, helped to turn the election towards President Trump at a time when the mainstream media was giving 98% of their time dedicated to him as negative news. Are those websites 'Russian propaganda' or 'pro-America' and 'anti-Hillary/Obama?' The answer is clear. That's the tragedy of everything that just happened...all the things that do deserve attention and investigation have received none...because this idea drowning everything out has been a complete fairy tale...We have the answer...as for him being a Russian asset is it's so irresponsible to say that because the reality is the conflict between the US and Russia has been higher than it has ever been in decades. How can you say Trump is a client of the Kremlin when he's trying to oust one of Russia's most important client states in Venezuela, or when he's pressuring Angela Merkel to stop buying Russian natural gas?" "That any country would dare to interfere in our sacred and glorious democracy when the United States has done very little since the end of WWII but going around the world and interfering in every Democracy they can find...including Brazil the country in which I'm currently living...and even Russia. This doesn't make it right for Russia to do it, but we've never kept it in perspective that meddling in other countries' elections isn't some grave never before seen drama...it's part of regular business." "All of this outrage...has made the US a laughing stock to the hundreds of millions of people who live in countries where the US has done this and far, far worse." 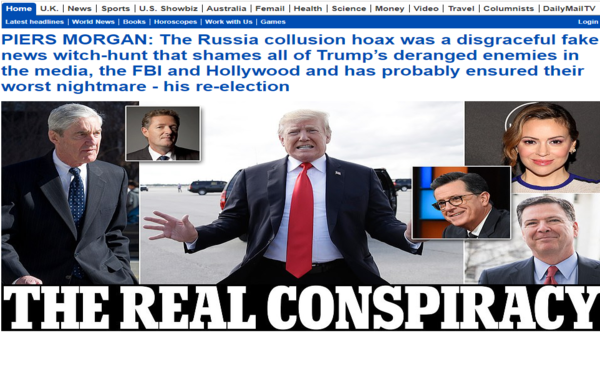 With even Piers Morgan recently calling out the treasonous swamp as was reported in this story over at the Daily Mail, with Piers taking aim at the mainstream media, Hollywood and the FBI, he also likely correctly reported that their own 'Trump derangement syndrome' will likely cause their worst nightmares, President Trump's re-election in 2020, so that's why we'll turn here to the 'massive false flag ahead' theory. If what we've really been witnessing here in America over the last several decades have been moves made to neuter America's sovereignty and turn America into something that looks like what Deagel.com 'forecasts' for us by 2025, why should we believe that they'll stop just because President Trump is in office? 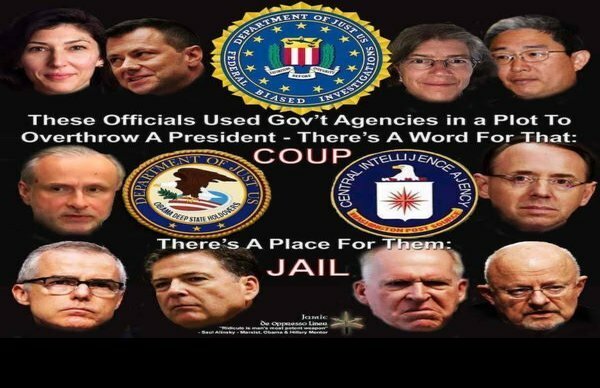 Their failed coup attempt proves that they didn't want him anywhere near the White House, but why would they stop now? Just like what is happening right this moment in the UK, where those who voted for BREXIT are being stymied, the globalists will do absolutely anything within their power to take down the strongest nation still standing, America. And with the corrupted faction of the deep state here in America now exposed and likely the very group that has been responsible for creating and carrying out false flag terror events against the American people, events that this Wikipedia entry for Operation Northwoods prove have been planned by the deep state for over 50 years, would anyone put it past them to attempt to carry out one more such 'false flag' if it's the only thing that gets them out of the mess that they are in? And let there be no doubt about it, this entire 2+ year fiasco leads right back to Hillary Clinton and Barack Obama. 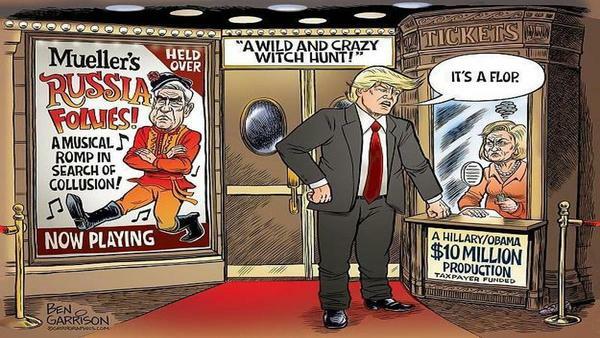 As Michael Goodwin over at the NY Post recently reported, a great way that President Trump and the DOJ could end our 'national nightmare' would be for them to investigate the crimes committed by Hillary Clinton once again, this time via a fair and impartial investigation rather than by her own corrupt cronies looking to score brownie points with the person they firmly believed would be the next US President. With the collapse of Hillary's big lie now complete, America needs justice now or 2020 may be the start of another nightmare. As PJ Media reported within this new story, the 'real threat' to America, our freedom and our Republic isn't Russia, it's the Democratic party.